The Lake District! This stunning area of the UK is great for adventures – whatever the weather! We stayed in a luxury log cabin just outside Windermere and spent a week exploring the lakes, having fun family days out… and eating ice cream of course! Very good actually! We went in July so were prepared for rain and sun, but luckily it was sunny and dry most of the time. We had one wet day and took this opportunity to explore Wray Castle near Ambleside. This castle is a toddlers paradise – there are loads of things to touch, climb over and play on in the castle, as well as a fab woodland playground outside and the lake to paddle in. Windermere gets REALLY busy in the summer months, so head over the Kirkstone Pass to Ullswater Lake instead. The scenery here is more dramatic, and you can take a mini cruise on the Ullswater Steamer from Glenridding to Aria Force pier and go and see the waterfall. Alternatively head over the Hardknott Pass to the Western Lake District and have a day out Muncaster Castle. This has all the key ingredients for a great day out – loads of space to run around in, a great playground, a maze and Bird of Prey demonstrations (watch out when the hawks swoop over your head!). This has to be when my boys aged 5 and 2 saw a waterfall for the first time. As mentioned above, we took the Ullswater Steamer to the Aria Force pier and had a 20 minute walk through woodland to get to the 65 foot Aria Force waterfall. The boys heard the roar of the water first and were so excited when they went round the corner and saw the waterfall for the first time – it was a really special moment! Thanks so much Jo. 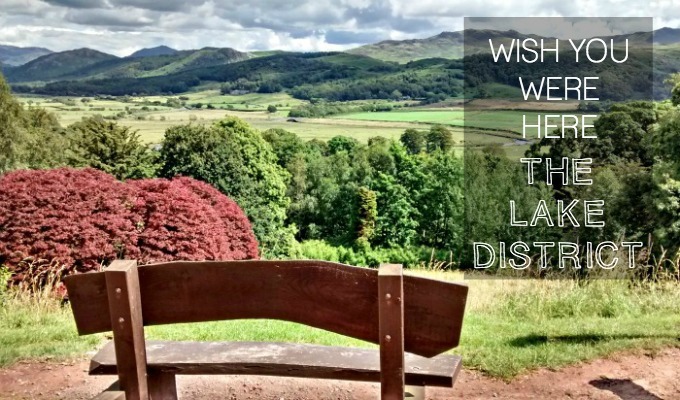 Have you been to the Lake District with children? Let us know your must-do tips for a great holiday. If you have a postcard you’d like to send us, do get in touch.